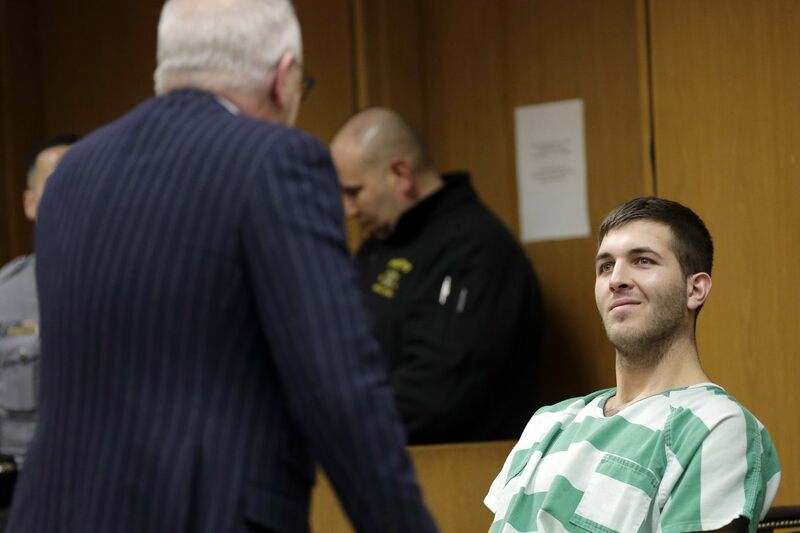 Anthony Comello appears for his extradition hearing in Toms River, N.J., last week. NEW YORK — A man accused of killing the reputed boss of New York’s Gambino crime family has been arrested ahead of a court appearance. The New York Police Department says Anthony Comello was booked on murder, assault, and weapon possession charges at around 4 a.m. on Monday. Comello, who's 24, is accused of gunning down Francesco "Franky Boy" Cali outside the mobster's Staten Island home. He was initially taken into custody in New Jersey and agreed on March 18 to be extradited to New York. Authorities say the March 13 slaying may have been related to a romantic dispute instead of mob business. Comello’s attorney has said he’ll fight the charges. Robert Gottlieb says the accusations contradict the characterizations of people who know Comello best.